This dessert will satisfy your palates craving for something a little salty and sweet! Preheat oven to 350°F (180°C). 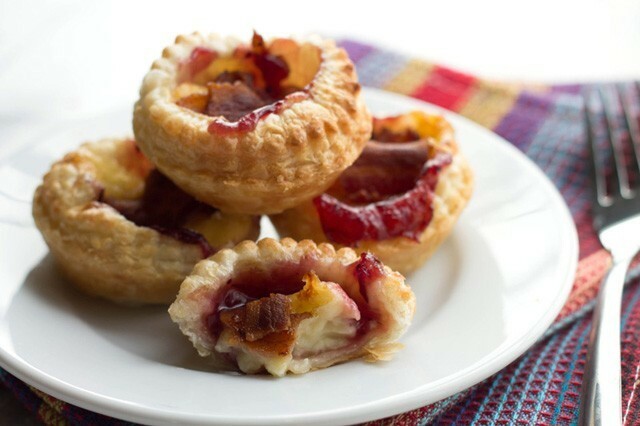 place frozen tart shells on baking sheet. on large bowl, combine butter brown sugar. add maple syrup, eggs, vanilla, pecans and bacon. Mix well. Divide mixture evenly between 18 tart shells. Bake 20-25 minutes or until pastry is golden brown and filings is set. remove to wire rack. Cool slightly. Serve warm with a scoop of ice cream if desired.